SANTA MONICA — If clearing clutter from your home is one of your 2016 resolutions, you won’t want to miss the chance to see Japan’s de-cluttering guru, Marie Kondo, in person. The bestselling author will be discussing her new book, “Spark Joy: An Illustrated Master Class on the Art of Organizing and Tidying Up,” at 8 p.m. on Monday, Jan. 25, at the William Turner Gallery in Santa Monica. Kondo runs a consulting business in Tokyo helping clients transform their cluttered homes. Her philosophy is simple: keep only the objects that spark joy. Her first book, “The Life-Changing Magic of Tidying Up,” became an international phenomenon, selling more than 3 million copies in many languages worldwide. 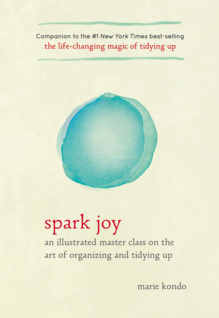 “Spark Joy” is a companion to this first book, providing in-depth, illustrated tidying tips for every room of the house. Tickets range from $20 for general admission to $95 for a reserved seat, a copy of “Spark Joy,” and access to an exclusive reception before the event. To see all options and to purchase, visit http://livetalksla.org/events/mariekondo. William Turner Gallery is part of the Bergamot Station Arts Center, located at 2525 Michigan Ave. in Santa Monica.